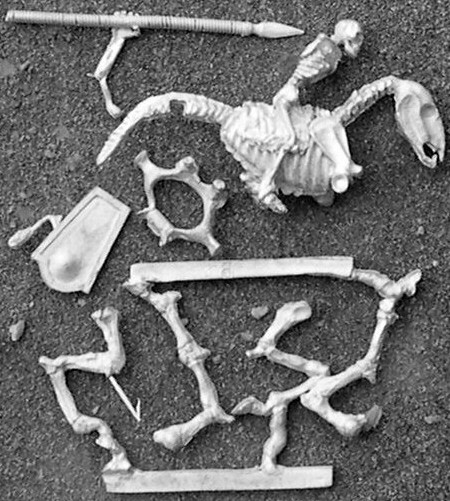 Australian manufacturer of a wide variety of minis, including some skeletons. Interesting option is that you can suggest a mini you'd like them to make and if enough people are interested they'll make it. I haven't seen any of their models in the flesh yet, so comments will be limited. 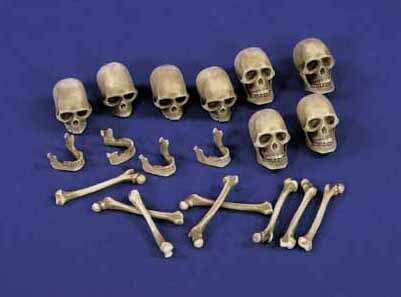 The range includes skeletal cavalry, skeletal pirates, Ancient Greek skeletons and Ancient Egyptian Skeletons. One of the older manufacturers, but they do some nice armoured skeletons. I haven't seen them in person, so I can't comment on casting or sizes. 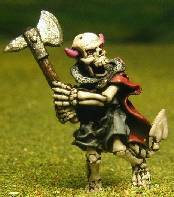 You'll find some armoured skeleton heroes with various weapons, as well as some mounted skeletons. You'll have to rebase them, though. They took over the "Chronopia" range from Target Games. In general they offer nicely sculpted miniatures, with good casting. the models come with round plastic bases. 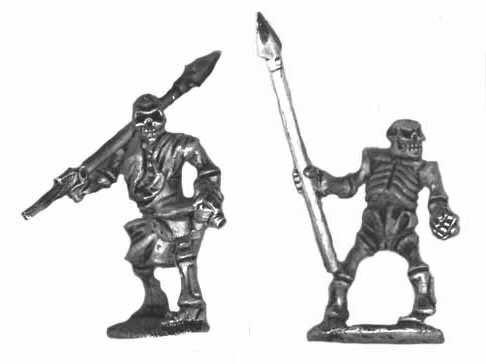 They offer some HEAVILY armoured skeletons with sword and shield, some decent characters and an undead giant. New German manufacturer of fantasy miniatures. So far they don't have that many undead models. As I haven't seen them in the flesh, I can't comment much on sculpting, casting, etc... From the pictures you can see they come with solid bases, but those are very minimal and (re)basing shouldn't pose a problem. 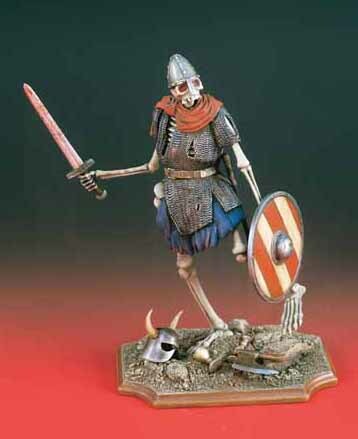 The range includes generic skeletons, skeletal Highlanders and skeletal Roman legionnaires. Manufacturer of CCG's and miniatures for the game Clan Wars. This game is set in a feudal Japanese world of Samurai and the likes. The range includes undead creatures. 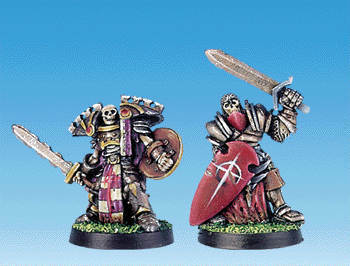 The miniatures are of a high sculpting and casting quality and come with square plastic bases. 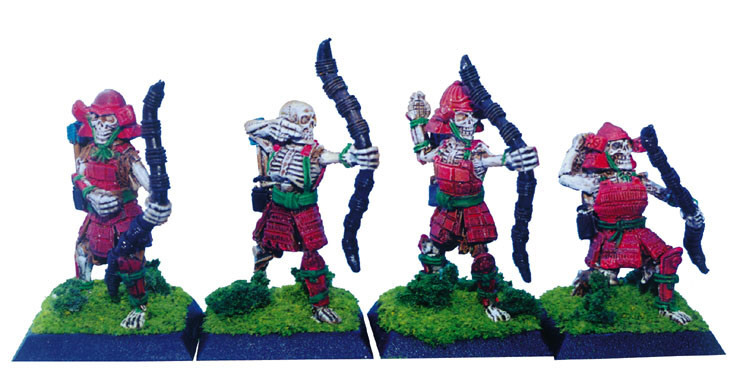 This range has skeletal Samurais with two-handed sword and skeletal Samurais with bows. Very nice if you want something different. Downside: I believe AEG has discontinued the range. Grab them while you can! Technically, this is not a manufacturer of wargaming miniatures. They sell large scale models 120-200mm, intended for display. 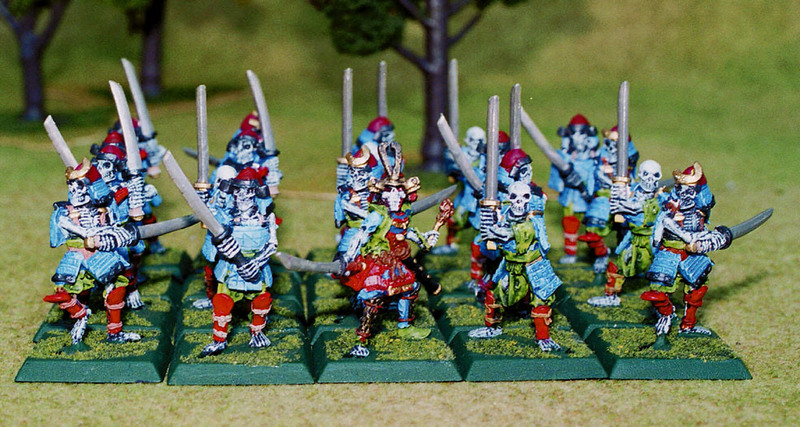 However, the Fantasy series includes skeleton warriors in the 150mm scale. 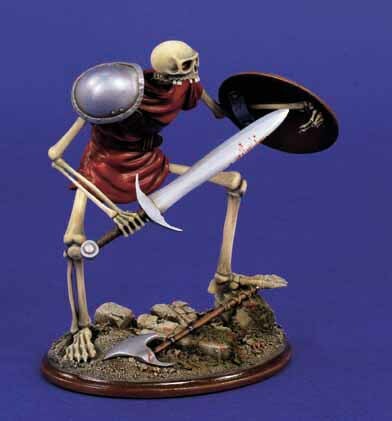 This makes them perfect for use as skeletal giants in our battles. Given that these are kits intended for collectors, the quality and detail is of a very high level, which clearly shows from the pictures. 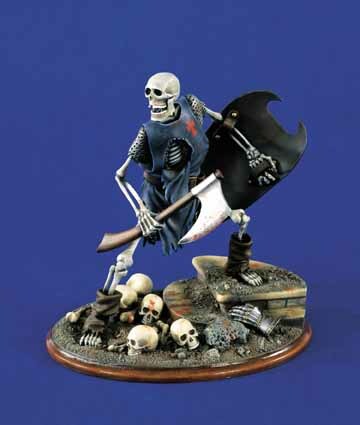 Four main objects of interest: the 150mm Skeleton Warrior with axe and shield (N�38), the 150mm Army of the Dead Foot Soldier with sword and shield (N�26), the 150mm Ghost of the Viking (N�19) and a pack of 120-150mm Skulls & Bones (N�73), which could be used to decorate your bases or terrain, or possibly even as alternative heads for the above models. The designer lines. Sadly these were discontinued. There are still places that have a stock though. Since many ex-GW sculptors contributed to this line, you know what to expect, though some may be a bit old school by today's standards. Bases are standard plastic slotted bases. Rank & file skeletons, some characters. If you find them, grab them. Once they're out of stock they're gone forever. Another one of the oldies. 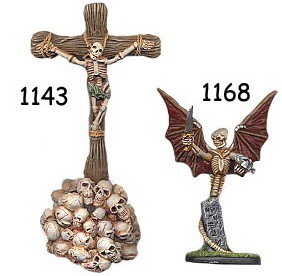 Though some/many of their miniatures are looking somewhat dated, there are still some nice models to be found that can proudly stand side by side with your newer miniatures. Take note that I have never seen these models in the flesh, so I have no idea about size and casting quality. You'll have to bring your own bases though. 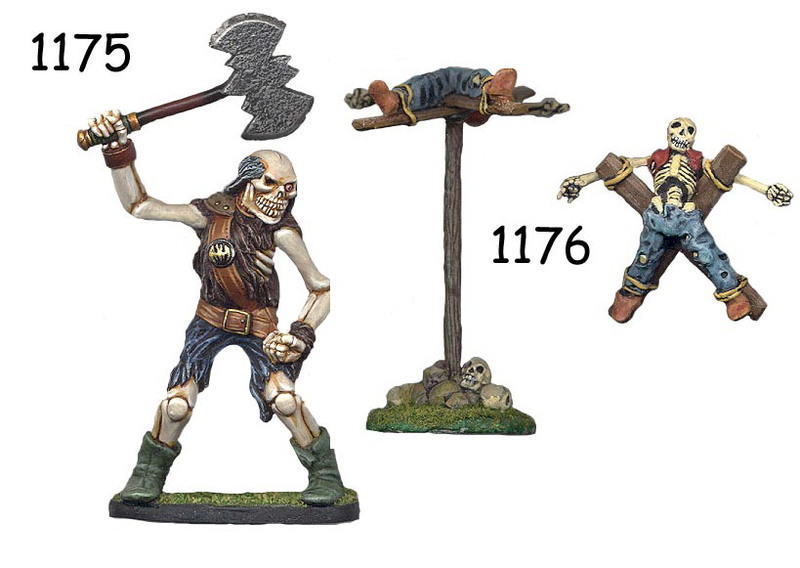 Among the available miniatures are such models as the undead giant with axe (1175), the torture pole with skeletal victim (1176), the skeletal Chaos knight (1155), the crucified skeleton (1143), the Skullwing: skeletal demon (1168) and some more skeletons. Grendel, manufacturer of "Leviathan" and "Grendel fantasy", makes many large scale resin models of both monsters and decors, as well as metal miniatures or combinations of both. 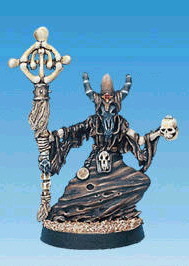 Manufacturer of many historical miniatures and some fantasy. One of the old ones. 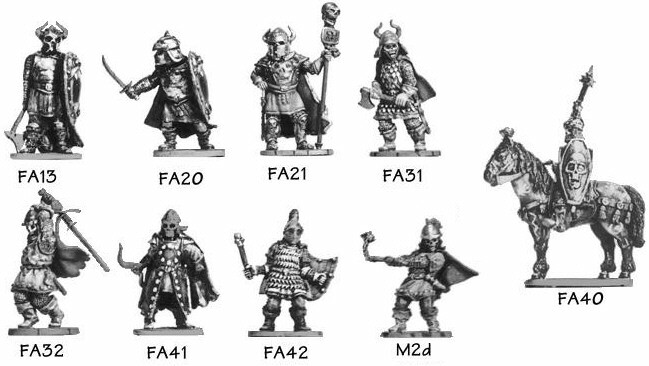 Some of their miniatures are passable rank & file models, but others are plain terrible. 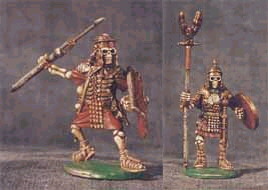 Skeletons, both mounted and on foot. Personally, I don't care for them, but I guess it takes all kinds. Downsides: � Rebasing required � Not the best models, some are quite awful, but others are useful for rank & file (but just barely). � See them first before you buy! � I repeat: See first, then buy! � Final warning!